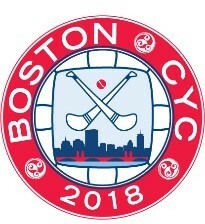 The 2018 Boston Continental Youth Championship (CYC) will be held August 1-5, 2018 at the Irish Cultural Center in Canton. The CYC is the largest youth GAA tournament held outside of Ireland. Over 2,500 players from Under 6 to Under 18 making up 200 teams are expected to participate. In hopes of winning Championship honors, clubs travel from all over - including Ireland, England, Canada, and the US. The local teams saw success at last year’s event in Buffalo. Championships were won by St. Brendan’s U8 hurlers and footballers, ISYL U10 hurlers, and the ISYL U16 girls footballers, with teams from other local clubs reaching many finals. Organizing and running this event is a monumental undertaking. In addition to the logistics of playing fields, scheduling, hotels, transport, and food, the CYC Committee is responsible for fundraising $200,000 to help cover the cost of hosting the event. A Night of Honor fundraiser is being held Friday, March 9th, at Florian Hall in Dorchester. Each Boston Northeast GAA club will be honoring an individual who has made a significant contribution to their club and the GAA. Additionally, special recognition will be given to two gentlemen who have dedicated a life time to the GAA. 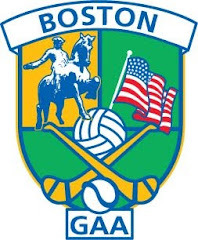 Coming from football and hurling backgrounds respectively, John McDevitt and James Grealish each served as Chairperson for the Boston Northeast Board as well as countless years of service to their clubs and the development of GAA in North America. The CYC is a key piece of developing the games in the United States by providing opportunities for youth players to excel at the sports and have a tremendous amount of fun. The future of the games lies with the youth, and there is fertile ground to grow the games here. Opportunities for kids to learn and play Gaelic football and Hurling in the Boston area are provided by the Irish Sports Youth League, St. Brendan’s and Trinity Milton, as well as programs in Portland Maine, Springfield Mass., and Hartford, Ct. For more information on youth programs go to bostonminorgaa.org. We hope you will support the Boston CYC and the Night of Honor. If have not already booked your ticket or reserved a table for the banquet, contact bostoncyc@gmail.com or call (617) 791-3233. The Boston Northeast Divisional Minor Board, Inc. is a registered 501© (3) organization. All contributions are tax deductible to the fullest extent of the law. Tax ID# 27-3766581.